“We stand here on the precipice of very interesting things happening in oil shale,” was the thought of Utah Governor Jon Huntsman, Jr. as he delivered the keynote address at the 28th Oil Shale Symposium held at the Colorado School of Mines in October 2008. Indeed, there has been a renewed effort by researchers to once and for all unlock the potentially enormous resource of kerogen-rich rock filling major sedimentary basins of Utah, Colorado, and Wyoming. The most significant factor behind this renewed interest is record-breaking crude oil prices, which peaked at $147 per barrel this past summer. In addition, the country’s continued need for safe domestic petroleum production makes the western deposits of oil shale even more attractive. Oil shale may have its critics, but most people agree that further research and the initiation of pilot-scale projects are needed, so if this petroleum resource is someday tapped, it can be extracted in an environmentally responsible manner. 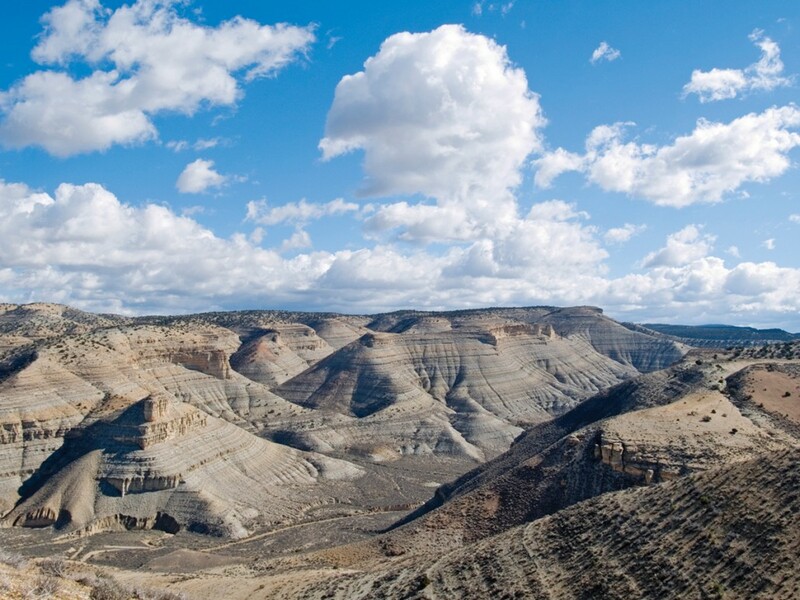 The largest known oil shale deposits in the world are in the upper portion (Parachute Creek Member in Utah) of the 50-million-year-old Green River Formation, which covers parts of Utah, Colorado, and Wyoming. Sediments of the Green River Formation were deposited in two large lakes that occupied a 25,000-square-mile area and are currently preserved in the Piceance, Uinta, Green River, and Washakie sedimentary basins. During arid times, the lakes contracted in size and the lake waters became increasingly saline and alkaline. The warm alkaline waters provided excellent conditions for the abundant growth of cyanobacteria (blue-green algae), which are thought to be the major precursor of the organic matter in the oil shale. The preserved organic matter in the shale is called kerogen, which when heated can produce crude oil and natural gas. The section with the richest oil shale is named the Mahogany zone, where individual beds, such as the Mahogany bed, can exceed 70 gallons of oil per ton of rock and the entire zone is commonly over 100 feet thick. Past oil shale resource assessments for Utah, the first conducted in 1964 and subsequent studies continuing through the early 1980s, concentrated on the Green River Formation’s Mahogany zone in the south-eastern part of the Uinta Basin, and were limited by the amount of drill-hole data available at the time. The UGS has broadened the investigation to include the entire Uinta Basin, taking advantage of hundreds of geophysical logs from oil and gas wells drilled over the past two decades. In total, we used 293 wells to create a basin-wide picture of Utah’s oil shale resource. These widespread data were used to map oil shale thickness for intervals with oil yields of 15, 25, 35, and 50 gallons of shale oil per ton (GPT) of rock. From these thickness maps, we calculated new basin-wide in-place resource numbers for each richness grade. The thickest and richest oil shale zones are in central Uintah County, where overburden thickness ranges from zero in the east to almost 4000 feet in thenorthwest. A continuous interval of oil shale averaging 50 GPT contains an in-place oil resource of 31 billion barrels in a zone ranging up to 20 feet thick. Likewise, an interval averaging 35 GPT, with a maximum thickness of 55 feet, contains an in-place oil resource of 76 billion barrels. The 25 GPT zone and the 15 GPT zone contain unconstrained resources of 147 billion barrels and 292 billion barrels, respectively. 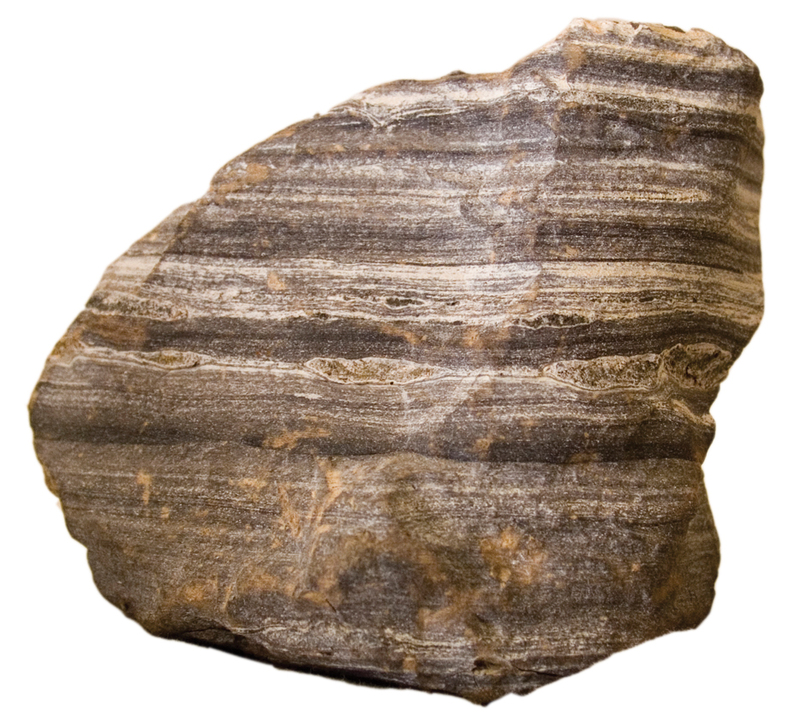 The maximum thickness of 25 GPT rock is about 130 feet, whereas the maximum thickness of 15 GPT rock is about 500 feet. 5. deposits located only on U.S. Bureau of Land Management, state trust, private, and tribal lands. Accounting for these constraints, Utah’s potential economic oil shale resource equals approximately 77 billion barrels. This is roughly 26 percent of the total unconstrained resource of 292 billion barrels calculated at 15 GPT and 52 percent of the total unconstrained resource of 147 billion barrels calculated at 25 GPT, and is a more realistic estimate of the potential recoverable resource. As demand for crude oil steadily increases and desires grow to expand domestic supplies, researchers will continue to pursue unconventional resources such as oil shale. With Utah’s vast tracts of rich, near-surface oil shale, the state will continue to play a major role in future oil shale development and research. For more information on Utah’s oil shale resource, refer to recently released UGS Special Study 128 on the Utah Geological Survey’s Oil Shale Resources web page.